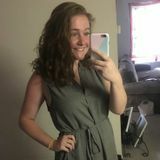 Want to connect with Colleen? Hello! My name is Colleen, and I currently attend Stockton University. I have always had a passion for animals, especially dogs. I spent this past summer working at a dog daycare/boarding facility and absolutely loved it! I would love to get to know you and your dogs. Hello everyone! My name is Arely and I would love the opportunity to walk your dog when you need it!